I really didn't think I'd be able to do this. Spending Christmas in a small Galician town and knowing that my future mother in law has no computer,I thought it impossible that I'd be ble to check my email or blog. I was very pleased to see my podcasting blog pod-efl nominated for an edublog 2005 award. There are some really great blogs on the shortlist, which makes me even more pleased to have been selected for the best audio/video blog category. Looking at the shortlist, I think my vote in that category would probably go to either Ed Tech Talk or David Warlick's Connect Learning. I was surprised to see that Bob Sprankle wasn't nominated in this category, but then his Room 208 podcast, which is probably the most influential student podcasting edublog has been nominated in a different category. As I was travelling (in Bilbao, for some talks to teachers on blogging), I didn't get to attend many sessions, but the great thing about this event is that most (if not all) of the presentations have been recorded for posterity, and are available to listen to. I've just started doing this, and am trying to find the time to listen to more, as there are so many great presentations. The conference Moodle is also still active, and it's worth checking in there if you haven't already done so. Apart from my presentation on interactive listening mazes at Tapped In, and being asked to participate in the Dublin Brunch, which was broadcast live on NEAR FM, and Irish radio station with 20,000 listeners, I managed to get to the opening session by Curtis Bonk on Blended Learning, available to listen to at Learning Times (this requires registration, but is well worth it. There were some great ideas presented and discussed here. 'Teacher blogs in action' by Renata Suzuki and Karen Garcia (again available to listen to at Learning Times). This was an extremely interesting presentation, which turned into a stimulating debate about various aspects of blogging. Bee and Aaron's presentation about Dekita and P2P in EFL/ESL(direct link to voice room recording), also available to listen to through the Webheads room in Alado. The Dekita project presentation should be essential listening to anyone involved in blogging with students, especially if the idea is to publicise and create connections with other weblogging classes and students around the world. Inspiring stuff, as always. the Worldbridges podcast of the session by Dave Sperling, someone who did more than anyone to promote ESL online activities in the days when the Web was young. He talks about the tenth year anniversary of his ESL cafe, and some of the changes that he has gone through since it started. It was interesting to hear how he is now able to earn a living from the site, and that he has not been teaching ESL since 1999. And if the quality and interest value of the other presentations is anything like those I've already listened to (I don't doubt it), I think I'm going to have to take a month and listen to them all. It was truly an inspiring event. I've just had an article about podcasting published on the British Council / BBC website Teaching English. When I first came across podcasting, I was more interested in podcasting as a way of providing extra listening material for students, but now I find I'm more attracted to the idea of publishing student work using podcasts. In the same way that students publishing a blog have to take into account an audience, students involved in creating a podcast also have to consider who is going to be listening. And the very fact that there is a real audience out there means they take more care when it comes to preparing the material and recording it than if it was solely meant to be listened to by their teacher. I have started several podcasts, but the one I'm most enthusiastic about now is the Theme Tourism one. I am presenting a session on Interactive Listening Mazes online on Saturday 19th November (17.00-17.50 GMT) as part of the Webheads in Action Online Convergence (WiAOC). I am currently preparing the asynchronous materials for the synchronous text chat presentation (audio, text) which will take place at Tapped In. So far, I have set up the blog for Travel, one of the Interactive Listening Mazes, and I am in the process of uploading the audio files, inputting the accompanying text, and reconfiguring the blog so that it acts less like a blog and more like a regular website. Why use a blog for this and not a regular website? Well, basically because of the ease of use factor - it's so easy to set up blogs with Blogger, and once you know your way around the template, and if you understand a little about html and Blogger's codes, it's easy enough to adapt them to your needs. I've signed up for a free edublog and am now wondering why I didn't do this a long time ago. It's a joy to use, and I'm sure I'll end up switching from Blogger, but for the meantime I'll run this blog and the other one, which I've named Blog-efl 2.0 in tandem. ...out other blogging hosts before, and have always returned to Blogger, but this time I can not only see the advantages of using these free Wordpress blogs myself, but also encouraging students to use them too. They are easy to use and have features (categories, for example) which Blogger doesn't have that are great for organisational purposes. I'd always heard people talk about Wordpress and how comfortable and flexible this blogging tool was. I'd never tried it before because it was a paid service, but now with James Farmer's kind offer of Wordpress blogs for school students and higher education students, I can safely say that I'll be moving away from Blogger in the future. 'Bridges Across Cyberspace', The Webheads in Action online convergence (conference) is fast approaching, and I'm really excited about the number and range of guest speakers. I'm also honoured to have been chosen as a speaker too, and am excited about preparing my own presentation, Interactive Listening Mazes. The conference is free to attend and promises to be a really memorable event, so book a place in your calendar between Friday 18th and Sunday 20th November. I've just heard, however, that I'll be going to the British Council in Bilbao, that same weekend, and so will miss a lot of the sessions. 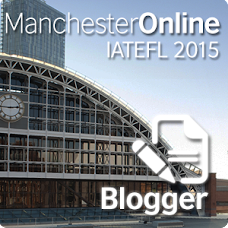 I'm going to be giving a couple of f2f presentations on efl blogging, which I'm also really looking forward too. I'll be rushing home from my Saturday class to get ready for my online presentation and catch some of the others. As soon as it finishes, I'll be out the door en route for the airport. It's been my day for discovering past projects. The British Council ICT Co-ordinators Handbook is a collaborative project that came out of work following ICT courses around the world. It's basically aimed at an audience of British Council ICT coordinators, and I had assumed that it would only be published on the British Council intranet, so am pleasantly surprised to see it on a public website. Much of the content will only be of interest if you work for the British Council (and there are many links to private British Council intranet pages), but there are some sections that may be of general interest. One of these sections is the glossary, although, sadly to say it's already looking outdated! A while ago I was interviewed for El Periodico, a Spanish newspaper, for an article on blogging. I'd forgotten about it until I came across this pdf copy of the article. 1. Chalk one up to the whiteboard: "The drive to get interactive whiteboards into British classrooms could be missing the bigger picture." "The advantages for students may be even more compelling. The board encourages an "eyes-up", rather than "eyes-down" culture. It helps me to see that my students are with me and not lost somewhere in their own world. This has proved particularly effective with discussion activities." "Teachers circle the room in an experiment that could change the shape of education. And the pupils love it." Two positive and one negative view. Graham Wegner's helpful email about dealing with comment spam led me to discover both his ActivBoarding blog and also his Teaching Generation Z site. I've been using the interactive whiteboard that Graham's blog deals with, so it's of particular interest to me. I have found that IWBs are a fascinating way of integrating technology in the classroom, and are producing changes to the way teachers approach their classes and lesson planning. Unfortunately they are very easy to use badly, and need careful thought and a lot of training and extra time and effort on behalf of the teacher before they can be fully integrated and used well. In our school, we only have one IWB equipped classroom at the moment, which makes it difficult to judge the impact they make on the students' learning and on the teaching. What is true, however, is that they do require the teacher to plan their lesson well beforehand, thinking very carefully about what the students will see on the board during the class. They just don't work well if a teacher walks into a classroom without having prepared the 'boards' (usually called 'flipcharts' when designed for the IWB)previously. Thanks to Teresa for this link to a "weblog" client made specially for teachers. "Classchatter.com puts powerful management tools in the hands of the teacher while protecting students' privacy and identities. Students are added into virtual "class" by a teacher or instructor where they may keep a personal blog, interact with fellow students' blogs or react to topical blogs created by the teacher." A while ago, I turned off the commenting feature on this blog because I was hit by a lot of spam. I thought I'd give it a week or so and turn the feature on again, but I've just seen that my posts have been inundated by this junk. Why me? It's strange - I really didn't think a blog like this would merit such attention. Or perhaps this blog comment spamming is now being done by bots? Anyway, I've turned off the commenting feature, which makes me a little sad, because it's one of the best things about blogging. It's actually ironic that I don't have a problem now with email spam - my gmail account has really worked wonders and I never get any spam. Graham, Sergei and Michael all suggested that it might be enough to turn on the word activation system in Blogger. They all suggested that this system will deal with the spam from bots at least. I've decided to try this out - if I get more spam, I'll turn the comments off though as I really don't have the time to eliminate them (I received about 60 spam comments the last time, and I still haven't erased them all). Thanks also to Cleve, for the link to the post Turning off blog comments, which talks about why people might take the decision to turn off blog comments. It's not just about comment spam - some people turn off comments just because dealing with them take up a lot of time. The phrase Dead Time Learning has been used to refer "to time that you have where you're not really doing anything else and you could be learning. Commuting is probably the #1 opportunity for Dead Time Learning that most of us have. Exercising is another great time. You can even be a Dead Time Learner when you're doing chores around your house, brushing your teeth, making dinner, etc." Of course, podcasting is one of the best ways of making use of this time for learning, and this is one of the reasons why it has attracted so much attention. Of course, this is great for me, and I have been taking advantage of the growing variety of podcasts about all manner of subjects to learn in time that previously I would have just not taken advantage of. But, what about my students? And here comes the irony.If they were adults, I'm sure I'd be able to interest them in podcasts, but then few of them would actually have mp3 players to really take advantage of 'learning in dead time'. The majority of my students are either young learners or university students and a high percentage of them own mp3 players, but I doubt that many of them will be interested in using their mp3 players to listen to podcasts in English. Maybe I'm wrong, but I just don't see them taking advantage of this way of mobile learning. Although I'm doubtful that many will take to it (especially at first), I think it is something that will appeal to a minority of students, and maybe others will come back to it when they start work and realise just how precious time is, and how lucky it is to be able to spend some of that dead time learning. Why use technology in class? I came across an interesting post by David Jakes, via Will Richardson, about the slow pace of uptake of technology of many educators. "...how many teachers can even design an effective presentation in PowerPoint? How many take advantage of the professional development opportunities available to them? How many internalize technology tools as significant and mission-critical tools required to teach todays kids. Sadly, the news is not good." I am waiting to see how many particpants I get at my session on blogging and podcasting in Madrid this Saturday - I know the conference has generated a lot of interest, and some of the speakers are being asked to put on two sessions - I volunteered for this, but I've yet to hear. Hopefully it won't be true, but I have visions of all the classrooms being full except mine, and me standing there talking to three people, who have only come in because the other sessions are full. Bee, who was instrumental in raising my interest level in blogging by 200%, and who is always a source of inspiration and great ideas (especially during the EVO2005 session on weblogging that she kindly asked me to co-moderate, along with Aaron Campbell)has been featured in "An interview with Barbara Dieu" on the British Council Brazil site. "So, I´d say that the greatest appeal and strength of blogging lies in this openness and freedom of speech. It´s the “power to the people”, “the can do”, creative pull. The blogging tool gives you the possibility to act, intervene, create your own content, share it with others, develop your voice and makes you believe that you as an individual, connected to others who share the same belief, can help, make your voice heard and produce change." Bee also talked extensively about Dekita, which is just one of the many exciting projects she is involved with. Great work, Bee! You're an inspiration to all of us. 7 things you should know about... from Educause is a series of pdf documents featuring concise information on emerging learning practices and technologies. Each pdf file "focuses on a single practice or technology and describes what it is, how it works, where it is going, and why it matters to teaching and learning." These information sheets are great introductory leaflets that you could print and leave out in the staff room for colleagues to browse, etc. I found all but the one about clickers interesting. And I was surprised that they bothered to make an information sheet about clickers and not one on interactive whiteboards, which I think is a far more useful / interesting technology. I have started to use an interactive whiteboard and am excited about its potential - it really does help with integrating ICT in the classroom and also affects the way you approach teaching a class. If you're using the iwb well, you can't just write on the board, but you need to use the resource in a different way, planning the way your boards will look to your students, and what you will do at various points during the lesson - in this way it is not only a presentation tool, but also an aid to lesson planning. Something Old, Something New is the title of the educational conference that is going to be held at the British Council in Madrid on the 24th September. It's open to all teachers and I'm down to give a session on (surprise surprise) blogging. A ‘blog’ (short for weblog) is an easy-to-publish website which can be used by teachers and students to make themselves heard and to help form out-of-class and out-of-school communities. Although blogging as a student journal-tool is the most common use, there is so much more to blogging than this. The session will cover everything from basic blogging journals to encourage and improve process writing, to new trends exploiting photographs (photo blogs) and audio (podcasting). This site on Elementary Presentations is aimed at US classes, but there are some resources of interest to EFL classes. I've recently spent some time revisting Gigadial, and the more I look into it the more I like it. I've set up another channel, blogefl, to keep a record of podcasts and other audio files I come across that are related to blogging / podcasting. Tonight I've been tagging and downloading some old stuff, but a lot of it is new to me, so I've loaded it onto the Zen so I can listen to it next week on the way to/from work. The other great thing about Gigadial is its interactivity. Not only can anyone listen to what you're listening too, but people can also leave recommended audio/podcasts too. I've added a button to my sidebar now, so please go ahead if you come across something I should be listening to. Because of the last feature I mentioned, I still think that setting up channels on Gigadial for different classes is a good idea, and I'll be trying this out when my regular classes start in October. It's also a great idea for a Community of Practice to share listening resources, and I'll be investigating that too. Back from holidays, and I'm trying to catch up on things I've missed. An interesting question for discussion, and you can read more in the post on Jamie's discussion blog. Apart from in the classroom, what if blogs are being used as a compulsory part of a course? In my experience, and that of colleagues who have used blogs, shy students have often benefitted from the new voice that a weblog gives them. I have seen students who are normally shy in class write lots in a weblog as there is not the pressure that there is in a classroom. They have time to think and to reflect in writing, and the use of a weblog can often be a very useful way of helping them express themselves. Jamie also has another blog called 'English Teacher Training' and in this he reflects upon good practice and also uses it as a way of giving feedback to the trainees. My first impression is that this and the other blog seems to be successful ways of extending communication with this group. For some time now, podcasting seems to be the only thing I've been blogging about. Because of this, and because I ran out of server space (which meant I couldn't upload any podcasts), I decided to set up another hosting account that would give me enough space to podcast on a regular basis. The site's now set up: http://www.pod-efl.com, and so I'll probably stop blogging here about podcasting, and use the other site, reserving this for non-podcasting stuff. Scott has a Gigadial station set up that others can contribute to, and I have to say that i'ts a really good idea, and a more formalised way of doing what the Del.icio.us trick does. I've set up a channel too (pod-efl) ,to experiment with how it works, and I'm impressed. Thanks to Nicole Simon of Sushi Radio, who kindly agreed to host the file, my first pod-efl podcast prepared for the June 19th Blogstreams Session is back online. Now I'm going to look into how best to host these files, and if I can make them smaller, to see if I can do any more. I'd love to continue what I started here, but for the moment, I think I'm going to concentrate on the audio files (which could be podcasts) I'm preparing for my classes in October and on the sushi radio podcasts I've been preparing with my current summer school students. The first of these was uploaded last night, and the students were so pleased when they saw (and heard) it. It's the first time I've done a podcast with students and am very pleased with the results - there's something very motivating for the students when they have a genuine audience, and they all tried very hard to do their very best. I think they have good reason to be pleased with the result. Via A VC in NYC, here's an excellent idea that combines the social bookmarking software Del.icio.us with RSS to create a personalised podcast featuring a variety of different audio content. I think it could have some really interesting potential uses for teachers and students. 1. You set up a new tag at Del.icio.us (I tried it with pod-efl). 2. You create a podcast-friendly RSS feed at Feedburner using the Del.icio.us URL of the new tag(http://feeds.feedburner.com/Delicious/blogefl/pod-efl). 3. You put the podcast feed into your podcast client (podcatcher): iPodder, or iTunes, for example. 4. The next time you come across a link to an mp3 audio file (podcast or otherwise) you think you may like, you post the link to Del.icio.us, and then when you run your podcatcher, it'll be automatically downloaded to your PC or mp3 player. I've just tried it out, linking to the last Comprehensible Input podcast and it worked a treat. a) You can publish a Del.icio.us feed of what you're listening to (could be used for recommending podcasts to other teachers / educators), thus filtering interesting podcast content for other educators. b) You have a class of students (with access to the Web of course, and preferably mp3 players) and you want to give them extra listening practice. Just as using a blog can direct them to relevant and useful resources, so this system can supply them with relevant audio content. c) You're interested in downloading mp3 files that aren't podcasts to listen to later (for example, from ELLO). This would be a tedious job, downloading each file one-by-one. This makes it much easier to do. I have had to delete the 'introduction to podcasting' file from the server because the file is too big. It is a real problem with podcast audio files, and one I must admit I haven't really thought too much about so far. Now I have more time on my hands, I'll be looking into it to find a solution, and I'll probably revise the file and reduce its size too. Interactive Whiteboards is a new blog that hopes to collect "evidence of the use of interactive whiteboards in classroom or school in K-12" - not 100% related, but the blog has a nice collection of links that are worth taking a look at. I don't know who said it first, but it's certainly true that teachers are ideas rich and time poor. explanations, just a short post combined with some examples, similar to the Daily Idiom. 2) A podcast about acronyms such as "BTW" or "ASAP" aimed at low level learners. So, does anyone feel like taking up one of those challenges? I also received an email from Charles Kelly, behind the Learn a Song podcast asking me when I'm going to post the second Barcelona Young Learners podcast, and saying that it's been a month now. I've got one in the pipeline Charles, and hope to have it ready very soon. I've definitely been one of those time poor teachers recently, with end of term exams, reports, etc, and all sorts of other things on my plate, but that's coming to an end and I'll have more time to podcast now. Charles suggested putting up shorter podcasts and keeping them more frequent, and he's absolutely right that frequency is an important factor, especially if people are downloading from your blog or website and have not subscribed (and this seems to be the trend with all podcasts - I keep hearing different people saying this all the time). It's like blogging - you need to keep posting regularly or your audience feels let down, and you'll lose them. - What kind of things do you do in your free time? Simple questions that young learners know. I like this idea a lot, Charles, In fact, I've been thinking along those lines too, as in a "Meet the Teachers" podcast, asking the teachers of the centre some questions about themselves - this may well be one to pursue. Fudan University High School Student Podcasting. EFL Geek has stated that he is not going to be podcasting, and has outlined his reasons on his blog. I can totally understand them, as podcasting is something that takes up a lot of time (far more than blogging). podcasting does seem to offer interesting possibilities for language learning that are hard to ignore. I'm experimenting with it at the moment, not really knowing how long I will continue, because it appeals to me and is fun to do. Whether or not the time and effort involved is actually worth it in the end remains to be seen. What is true though, is that the more EFL/ESL teachers we get trying it out now, the more we'll be able to see just how valuable it is, and what kind of content works for what kind of learner. A new (for me) podcast I've been listening to is the Bob and Rob show, an entertaining exchange between an American and a Brit. It's a good listen, and will be interesting to higher level students. My only problem with it is the laughter and applause that has been added to the show, which sometimes makes the content difficult to hear. podcast and a webcast? How can you start podcasting? send short audio comments and questions to him at blogefl@gmail.com. will form part of the future Blogstreams Salon session. Although the majority of educational podcasts seem to be produced for ICT-savvy teachers about the use of educational technology in education, (it is to be expected), among the shows are a growing number of podcasts aimed at English language learners. Apart from these, there are others that seem like they could be used with EFL/ESL learners (especially higher level learners. The only problem is finding the time to listen to them to see which ones are worth using. Perhaps there is a need for an ESL/EFL podcast review show about podcasts that can be used with learners? I'm starting to enjoy the idea of podcasting.I've nearly finished putting together the first BYL podcast and, although I've taken far too much time over it, I can see better how things might go, and am going to speed up the frequency of posts. I also want to start blogging more than I've been doing recently. Nice to hear from you too - I've heard what an exciting time you're having at the moment (through the Webheads group) and I'm thrilled for you. Is podcasting useful for language teaching? I think it has to be - it's the audio equivalent of blogging (it's actually much more than this, but this is one thing it can be). The key, I think, is to get enough language educators interested in it, and for them to start experimenting with it and producing content. At first, as with every new technology, not everything will be great, but we'll get better as we learn from our mistakes. Interested? I don't think it has to be more complicated than blogging. The best way to start is to become a listener to podcasts (using a "podcatcher") - that way you'll see how useful it is, and start to think how you can use it for students. This is how I started, and very soon after listening to podcasts on the way to work, found I was introducing excerpts to my classes - an example: I used an extract from one podcast with an anecdote/comment about Camilla Parker Bowles and her hats to present discourse markers to a group of Advanced students. It was perfect, and a real example, not scripted from a coursebook cassette. And this is just using podcasts you listen to. Of course, I'm also thinking about doing podcasts myself, and I've set up a site, inspired by a colleague. Here the idea is to provide content to students who want to listen to English outside of class. The trick I think is to find enough content (or provide enough content) to keep the students interested. On my site, I want to experiment with podcasting to different levels and age groups, but I recognise that the best way of doing this would be to set up a site aimed at one particular level and age group. Nonetheless, if the content is not time-bound, it can be recycled in this way later. And then, the really interesting time (as with blogging) will come when we start getting students to podcast too. I'm planning on doing something in the summer, with a group of young learners I'll have for a month. They usually do projects, and my idea is for them to put together a radio show in stages, and to podcast it as we do it. Where this would really work well is if another centre in a different part of the world was doing it at the same time. At university level, think of an intecultural project where students can share opinions, anecdotes, friendship. You set up a blog and a podcast and have an international exchange with other classes. What do they record? Well, you can have different themes as the year goes on. 1) Questions I have about your country and culture 2) Replies to those questions 3) A folk tale from my country 4) A typical day in my life 5) The sterotype of my country and how I feel about it. If students get interested, then there's a lot that can be done here. I'd really like to do this. Finally, as educators, there's a lot we can do to help each other with teaching and technology. Ironically, speaking to us is actually more natural than writing. And usually, we are better at speaking than writing. And yet, the idea of recording our voice and sharing it is more daunting than recording our written words to share (in an email, blog, etc). I suppose one reason is because we are used to asynchronous writing, but recording a monologue is more alien to us. Imagine is someone produced a 20 minute round-up of the Webhead group's news every week? I would love that, and download it to listen to religiously, as I am sure many others would too. Sorry, Susan, this is getting to be a longer reply than I first thought, but your email has inspired me. I'll probably post this on my blog too, as it has a few things I'd like to develop further. As far as holding back on podcasting, I think you should give it a go now. If you like, I'd love to help you. An idea (but only if you're interested, and have the time): Record an audio file with questions, thoughts, responses to this email, and send it to me. I'll add my response and upload it as a podcast. Then I'll show you how to do the same. Well, I'll stop rambling now, Susan. Only hope this is as interesting to you to read as it has been for me to write. I've just come across Dropload, which may be of use / interest. It's "a place for you to drop your files off and have them picked up by someone else at a later time. Recipients you specify are sent an email with instructions on how to download the file. Files are removed from the system after 7 days, regardless if they have been picked up or not. You can upload any type of file, mp3, movies, docs, pdfs, up to 100MB each! Recipients can be anyone with an email address." It seems it's being used especially by media companies to share large files with people, and is certainly more convenient than email and nobody has to know much abouut technology to be able to use the site. The Online Learning Resource Centre of the College of Arts & Sciences at the University of Oklahoma has a useful guide on Syndicating Your Blog for those who would like to know more about how to do this, with information on RSS feeds, Atom, and Bloglines. I posted about this on my podcasting EFL blog, but thought I'd add it here too. Each podcast features one song (usually a traditional, folk song) and comes with lyrics and notes on pronunciation, etc, which are featured on the website. on Sunday May 1st at 21:00 GMT. will allow us to get you where you need to be. Looking forward to seeing many of you with us! I haven't been posting much lately, as I've been looking at / listening to a lot of podcasts, trying to figure out how useful they might be to English language learners, and even if it's worth trying to get learners themselves involved. There are things I do like about it (see the blog for more details), but there are more things I don't like about it. At least, I don't think I'd use it with students. Check out my Yahoo360 blog for more on this, and on podcasting. Yahoo 360 is the new blog/photo managment/networking etc. tool from Yahoo. Like Gmail, it's invite-only (want an invite to this or to Gmail? Just let me know). I've been trying it out by blogging about podcasting and ELT. Go here to read my Yahoo 360Podcasting ELT Blog. I've also set up a podcasting-friendly Feedburner RSS 2.0 feed for the site, although at the moment, there are no podcasts to download. I have a few ideas for using it with students, especially as a lot of my students use personal mp3 players, and may well be interested. I introduced one of my classes (the students studying Audio-Visual subjects) to the concept of podcasting as a mini-webquest-discovery activity, and asked them to record their findings/opinions on their blogs. I also let them listen to extracts from podcasts that I'd downloaded. The idea was to make them aware of something that could be of interest, especially as it's a growing trend in their future industry, and also to pepare the ground for possible podcasting with these students at a later date. Xavi: "Yhea it sounds cool to me...i think its a good idea. Its not fair that just some one can make radio broadcast, now with the podcast this is over..."
Marcel: "Yes, because I consirer that is a great invent to save music and radio programs, and you can to take with you because is little and light, and in this you can put many songs an radio programs and all type of documents." Nuria: "I think that it is a very good idea because anybody that are interested in radio can try to begin with this and also I think that's good to everybody becuse you can also lsiten only the things that you want. But, on the other hand It'a problem for people that works in radio because they have to compete with them." I think the best thing for me to do now is to learn how to do it myself, before involving the students, to sort out any technical issues, and find out how best to set it up. Jawishools is a blog dedicated for primary and secondary teachers in Malaysia. It contains links to resources that may be useful for teachers. "I have used blogs to present links to teachers, and to put children's writing online...The children had no help from teachers when they were writing. I collected their written work, corrected it, and then inserted it in the blog. More will be added to both blogs as it is written." SaveAWave "is a simple, web-based sound recorder for voice messages. You can use it to record voice emails, memos, or voice files to put on your own web pages." Interestingly enough, at first I had problems with the code - I found that parts of the code were showing up in the published blog, and the player wasn't working. Then I wondered if one of my Blogger settings was messing things up : I had the Convert line breaks setting turned on in Blogger, so that I don't have to use the html line-break code whenever I want a new line/paragraph. Sure enough, once I'd turned this off, the code worked. I also made the mistake of trying to try it out using Firefox - the sound file only seems to play using Internet Explorer, which is a shame. Or am I doing something wrong? Isabel Perez is an educator whose ESL site is very popular, and includes many online activities, exercises, etc. It's particularly popular in Spain. I've just found out that she has a blog, although it looks like it's not been updated since November. A pity. Please start blogging again, Isabel! ...depending on the class, a large proportion of them (90% I'd say) do seem to use personal MP3 players. As Brian Lamb says, the "success of Apple's iPod (and a host of other portable and mobile devices capable of storing, playing and now recording sound files) means that audio can now be accessed by the user anytime, anywhere." He also notes that "the emergence of new tools that allow an individual to create and share sound files quickly and inexpensively, without specialized expertise." These tools include Audacity, an open source audio tool that lets users play and record sounds; cut, copy and paste; mix tracks and apply effects. Podcasting uses the power of RSS to enable automatic downloading to an iPod or computer. Brian Lamb notes the following educational uses of podcasting: "distance education, self-paced learning, language instruction, aiding students with learning and/or other disabilities, and facilitating guest speakers", but also adds that this list is bound to be enlarged, especially as podcasting has just begun. So, how could I use podcasting with my EFL students, and what benefits might there be in it? a) My first idea was to use it with a summer school class. We always organise projects, and one of the projects that is typically produced by a class is a radio programme. The problem with this project is always one of audience. What usually happens is that the students get to take a cassette of the programme away with them at the end of the summer school, or that other classes are invited to listen to the programme the last day of the project or summer school. Maybe podcasting, making the radio programme available on the Internet for other students to download and listen to would be a good idea of increasing motivation, and also may well produce something that other teachers / students can benefit from. I think what I'd like to do is to connect with another class in another country doing the same thing , and to swap podcasts at the end of the project, if this is possible. Now, I'm sure that would engage the students. Thinking bigger, wouldn't it be great to have an EFL/ESL podcasting project website? A bit like the ipodder site? A place where teachers can upload / download 'programmes' produced by classes of students around the world? Would this work? I've recently started using an interative white board (iwb) with some of my classes. To help me get to grips with this new technology, I've started an iwb-efl blog, where I can reflect on what I do and also link to the resources, etc I find that may be useful for me and others who use the iwb. The TESOL Electronic Village Online 2005 Blogging Workshop may have finished, but the community continues. Every Sunday at 22:00 GMT, Bee, Aaron, and I* will be hosting the Blogstreams Salon at Tappedin, where EFL/ESL teachers who are interested or involved in blogging can take part in informal text chats. In addition, once a month there will be a special presentation at the ASO (After School Online room) in Tapped In. The first of these special Sunday sessions (20th March) features Aaron Campbell, who will be presenting "Blogging toward Learner Autonomy". The presentation is free and open to all teachers and bloggers who are interested. Yahoo 360 is a new (beta) service (you can sign the waiting list now) which will let you "Create your own place online. Share photos. Create a blog. List your favorites, send a blast, and more." Blog Ideas: When you don't know what to Blog about. "Are you scratching your head trying to find something to write about? Well, by all means steal one of our ideas and make it your own! These topics are meant to spark a thought, remind you of your past, or give you an excuse to vent." vBlog Central - Videoblogging Made Easy! vBlog Central - Videoblogging Made Easy! : "vBlog Central is a service that makes it easy to post video (and audio and pictures) to your existing blog. We host your video content and display it in whatever format your users want. It's transparent and easy. Videos, even low quality ones, make a blog much more interesting. When you put video in your blog you get a videoblog, or vblog, for short. They are also known as vidblogs, vlogs, or vogs. " "In my experience, writing, revising and peer editing within the blog structure has particularly helped their writing skills...I've also had success with journaling in blogs...Teenagers are so self-conscious, I find the lack of face-to-face contact adds dramatically to the strength and effectiveness of peer editing and review." "While I'd like all students blogs to be open to the public, there are some legal and protection issues involved...in Livejournal, I allow students to use their real names and post so that only their 'friends' can see. Everyone in the class is on everyone else's 'friend' list. " "...I ask each student to come up with a pen name and sign a contract stating that they are never to mention real names, location, school name, etc." Jim Duber's media blog is an excellent example of integrating text, audio, and video into a blog. Sergei Gridushko from Belarus has started a project called mugshots which looks like a great way to get students writing creatively. The idea is for the students to post a photo of their favourite mug or cup, etc, and describe it, say why it's important to them. Bee has also joined the project and has posted her photos and comments in her live journal. Bloglet: "offers an email subscription service for your blog..." that boasts an easy set-up, stats, and more. "Wink is a Tutorial and Presentation creation software, primarily aimed at creating tutorials on how to use software (like a tutor for MS-Word/Excel etc). Using Wink you can capture screenshots of your software, use images that you already have, type-in explanations for each step, create a navigation sequence complete with buttons, delays, titles etc and create a highly effective tutorial for your users." The way it seems to work is with screenshots.You can add notes, etc and the software creates an animated presentation. there is a demo on the Wink website. Why use audio in a blog? "What we are doing in the ESL class (usually in the language lab or in the multimedia lab) is preparing people for real life situations in which they might not have any textual/visual input. Think of all of the times in a day when you listen without looking: when chatting on the telephone, consulting your voice mail, listening to talk radio, having a conversation as you walk beside someone without seeing their lips move or their facial expressions, listening to an oral presentation in a darkened room..... I believe that my job is to train learners for all of these situations in realisitic, or even heightened, conditions. The next question, of course, is why would you want to do all of this in a blog rather than on a plain vanilla web page?" "I like Nathan's response and agree with much of what he says, especially viewing voice as performance. Personally, I rarely listen to sound files that are posted, unless I feel like being entertained or I know beforehand that the sound file is worth listening to. It just takes too much time. I prefer the textual medium as a means of taking part in online conversation and gathering information. It is fast to read and easy to search. I can't skim an audio file. My advice to most bloggers would be to use sound sparingly and only when necessary. Lesley brings up a good point though: sound has a very important role to play in language learning. The potential to bring the myriad spoken voices of the world into the classroom itself, both synchronously and asynchronously, adds an exciting dimension to the learning activities that occur there. As we have seen already, there are many ways we can use sound in ESL/EFL classes, and many more ways to explore. I certainly will be trying to experiment with sound in my classes starting in April"
Can't help thinking that we're getting so wow-ed by the technology that we're gonna use it whatever, even if it really makes little pedagogical sense (and however time-consuming it is to produce it). "The first reason is of course for students to listen to themselves, from the archives; and to have them listen to others including native language learners. The second reason is that if you are giving a keynote, to a live audience, it is great to record and listen to yourself. Like singing in the shower, you might not sound as great as you think you do. The third reason concerns "radio" - to include internet radio, conventional radio and all things related to "pod casting". All of these lead to a wider reach - either for purposes of pedagogy or for purposes of "merchandising yourself or your institution" to a wider audience. The fourth reason is that very often one can emphasize that portion of the commentary where there is real passion." From Marco's blog come a link to Momentshowing: Adventures in video blogging which has lots of interesting posts and links for anyone interested in video blogging or vlogging. * Set up an audio / video / photo blog diary : something for students to look at for extra listening practice,etc and to help bridge gap between teacher and students. Encourage students to do the same? I think the best idea would be to make it a rolling blog, and instead of archiving posts, simply change them. The idea of doing this would be to save on space and to encourage students to logon frequently to catch posts before they are taken off. The question is, would students actually bother going to the site? One way of introducing them to the habit of visiting would be to set homework assignments based on this. Later on, the best way would be to make the content so interesting they really want to keep coming back. That is a challenge, however. But worth an experiment I think. * Take advantage of my students' fascination for mobile phones with cameras and use the video facility to create blog posts? I am using blogs again with my students of Image. This is a group of Polytechnic students studying English as a subsidiary subject (once a week for a 2 hour class). I started using weblogs with the group last year and it was successful. This year I asked the 2nd years if they wanted to continue and they all said yes. It was a lot easier introducing the 1st years to the idea of blogging too as they were able to ask their classmates (the 2nd years) if they had any doubts. So far we have managed to set up the blogs and start posting on subjects related to cinema and photography. I need to sort out a few problems with links / invitations from individual Student blogs to the Tutor blog, but otherwise it's going well. I have to give this group assignments and use what they produce in their blogs as part of their evaluation. Pete at Slings and Arrows has been doing a lot of reflecting about blogs, and in particular, the interactivity and possibility for dialogue and discussion. "More problematic in my view the the arrangement of comments in chronological sequence, and the lack of any threading. Interaction is extremely limited - basically commenting, rather than dialogue is taking place. It is all very linear and fragmentary. A comments, then B comments followed by C. Even if A comments again, it is not immediately clear to see how the comments relate to each other. For interaction to take place I think we need to be able to comment on comments. It is not that this is impossible, it is just that the way blogs are designed / set up discourages this. When I look at the comments on a blog, I don't feel much like commenting because it seems so one-dimensional, when compared with other tools. " It's interesting for me to read Pete's point of view, as it is completely different to mine. I really don't like the kind of threading you find in online forums. Having to click through all of those threads really puts me off contributing, and I found this kind of online discussion quite stale at the best of times. What attracts me to blogs is the individual blogs and the wide spread of information. Take your blog post, for example, Pete (of course I'm going to have to leave a comment on your blog about this to let you know that I'm picking up on your discussion) - I'm replying to your comments on my own blog. And you in turn (if you so wish) can post again on your own blog. Why have I done this? Well, perhaps it's not so much discussion as reflection to other people's reflection. But this is something that attracts me to the blog format. I'm having problems putting my finger on this (help me out someone? ), but I find the sense of 'ownership and publication' that a blog gives you is far more compelling than writing a post on a discussion forum or email list. Maybe it's just me, but I also feel that becasue of this, it's a tool that has far greater potential to engage our learners. When I first started becoming involved in encouraging students online, I tried forums and email exchanges. There was a novelty factor at first, but suggesting we 'post to the forum' in particular was soon greeted with collective sighs and moans.In contrast, I have had success with students chatting and blogging. "I must say last weeks' learning has been much more productive and promising than I ever imagined... enrolling in this course has shown me how much is still there.... to be discovered about new technologies and its possible uses for teaching and learning." "Creating your own web? This question came as an affirmation for the first time in my cyberlife... 'aggregators help you make your own internet' WOW!!! " I love Michael's blog (Adelaide, Education and Life) and can't wait to find the time to start experimenting with some of the audio and video features he has managed to integrate here. Fascinating stuff, and lots of potential for students and language learning. "i quit using RSS/syndication readers... i was intrigued by the ongoing hype of RSS - how everything is going to be syndicated and how everyone is going to access data that way...i'm wondering if that's really true beyond the info-nerds." An interesting read and a different point of view. It's particularly interesting to me as I'm one week away from a trip to Lisbon and a course with a group of ICT coordinators / teachers. As we all have to give a short presentation, I've decided to present bloglines and RSS feeds,etc as something that I have come across recently that I think is very useful / interesting. But I'm not convinced how well it will go down with the group. The article continues: "Syndication is based on an email model, relatively close to a mailing list model...Like email, updates come in the form of a new item. If you leave your syndication tool alone for too long, those new items build up and you're faced with an INBOX-esque situation, an eternal queue waiting to be checked off." There are also some very interesting comments on the association that "youth" has been making with email and authority, and why other tools like 'Instant Messenger' and Live Journal are more popular : it's the place where they communicate with their friends, and "There are no checkboxes, no little red numbers that tell you you didn't read everything". Of the comments posted here, one in particular caught my eye: "I've tried using aggregators before...but the email-ness of it made it into work, and I already have enough work in my life." I have finally found time to listen to the recording of RSS: The New Killer App for Educators" with Will Richardson at Learning Times and am going to blog notes of the session here. Will, a self-confessed "blogvangelist" maintains Weblogg-ed, a weblog "dedicated to discussions and reflections on the use of Weblogs, wikis, RSS, and other Internet-related technologies in the K-12 classroom" , and is also a founding contributor of ed-tech insider at eSchool news. Will uses the web-based Bloglines as an aggregator. Will's classrooms have gone paperless due to RSS. His students use weblogs, and Will subscribes to them. They can subscribe to each other. can start creating your own little corner of the Internet just for you. - What about information overload? How can you signal what is useful? A lot of bloggers out there are writing about this. Will's blog is where he writes about what is most important to him at the time. The blog becomes the 'card catalogue' for things he wants to write about, retain. Furl he uses to flag things he things are relevant. He might not go back to more than 10% of these, but it's nice to know that he can go and find an article 2 years later, even when this page is not available on the Internet. Yes, absolutely, but it's such an important tool, and a lot of fun. Will's presentation was very well received and full of useful and interesting ideas for content and information management. It's extremely useful to see how he manages so much information from so many different sources.